You may add some other contenders to this list but the following events are generally considered pretty difficult. While with some, you only risk the loss of honour in case you give up, in others you may be robbed of your health or even life. Apart from Grand Tours, there are some less-known ones. Would you dare to take part? Who is it good for: for those who want to experience how is it to be a Tour de France racer just for a single day. If any avid cyclist decides to hit their rock bottom, a homeland of the Tour de France is the right destination. Every year, sadistic organisers squeeze this amateur-only race between the series of the professional stages. Luring around 15,000 people from all over the world, the L’Etape du Tour’s became one of the most famous events for people who take road cycling more than seriously. The route is a subject to change every year but it usually takes place in the French Alps with their infamous climbs. The next year, the 10th stage with a total length of 169 km and an elevation of 4,000 meters will be opened for the public race. The route runs through several passes and over a plateau where the resistance members hid during World War II. A gravel passage is inserted into the plan. The reward for the hard work will be a stunning view over the Avaris Mountains. The race starts on July 8th. Who is it good for: for riders who would like to take part in Tour de France but were not lucky to join a pro team. If one-day Tour-like experience is not enough, you can do more. Formerly known as the Tour de Force, a brand new Le Loop race offers an opportunity to get acquainted with all the stages of the world’s most famous race. Less ambitious cyclists may choose from 11 different loops ranging from 2 up to 21 days of sweating. The routes run through vineyards, sunflower fields, and over Alpine passes. Part of your entry fee may be used for charity purposes. Who is it good for: for invited-only stuntmen who believe that dropping a 10+ meter cliff on a bike is not a suicide attempt. Since 2001, this is undoubtedly the most dangerous mountain biking event on the planet. There even was a three-year break after about a half of the starting athletes suffered some kind of injury. Broken bones and dislocated joints became a standard. Invented by the Zion Park local daredevil Josh Bender, it’s been an invitation-only freeride mountain bike competition. The concept is based on an idea that participants should get from the top of the peak down to the bottom of the valley according to their skills and courage. The chosen lines running down the extremely steep terrain include big drops and jumps. Every year, the event is watched online by hundreds of thousand spectators. Proving its popularity, the prize money fund increased from 8,000 dollars in 2001 up to 100,000 dollars in 2015. Just for your information, the We Love Cycling ambassador Richard Gasperotti took part four times between 2002 and 2008.
Who is it good for: for masochists who find it exciting to dress in cycling kits. The basic idea is simple: within ten days, you have to pass hundreds of passes from famous to those less well-known. Prepare for up to 200km daily portions with up to 5,000 m of climbs. Even the organisers warn about race’s difficulty as participants spend from 8 to 12 hours in the saddle every day starting with lower slopes and experiencing really tough parts in the later stages. Who is it good for: for cyclists who prefer sleeping in the saddle. Just another race claiming to be the most difficult. As the name implies, the route runs across the United States, from Oceanside, California, to Annapolis in Maryland. With a length of about three thousand miles, it is about one thousand miles shorter than the legendary Tour de France. Despite its difficulty, its winners usually ride for about half of the time needed to complete the French tour, given that there is not much time to rest left and many participants sleep only two hours per day. The average speed of the initial 1982 event winner Lon Haldeman was 12.57 mph, describing the insanity of this race. Someone has calculated that the fastest racers burn 180,000 calories during the ride. Next year’s race of individuals starts on June 12th. Who is it good for: for experienced climbers who found Sellaronda Bike Day way too easy. It’s an annual one-day bike race in Italy covering seven remarkable mountain passes in the Dolomites. Open to the public of any age, Maratona with 9,000 riders belongs to the biggest cycling events in the calendar. National Geographic magazine labelled it as “one of the biggest, most passionate, and most chaotic bike races on Earth”. With already 30 years of history, there will be 3 possible routes for the 2018 event. 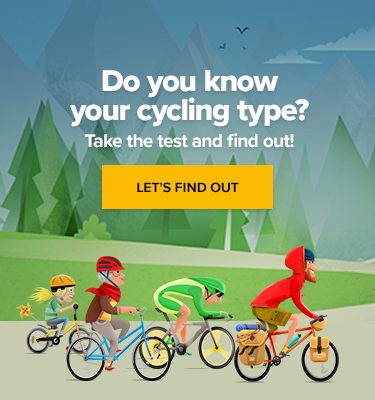 Participants are free to select the route matching their skills from 55 up to 138 km. Don’t get soothed by seemingly short total length as there are fierce climbs to be conquered. Who is it good for: for anyone who wakes up in a snowdrift with an urgent need to open a window because it’s too hot. When asking about a serious extreme, this is the one. With 1,111 miles, it’s not either the longest or steepest but because it’s held in the middle of the Alaskan winter, it is regarded as one of the toughest. The route is not fixed and the participants can choose whether they like to ski, cycle or walk. The conditions are frankly unfriendly. Participants face minimal visibility or freeze up to -30° C. Organizers themselves claim that this race is not for everyone. Loss of orientation in the Nordic wilderness may result in the loss of participant’s fingers, toes, or even life. The average speed is only 3 miles per hour, and the number of heroes that have finished the race could be counted only in dozens. The 2018 event starts Sunday, February 25th. Who is it good for: For those who consider cycling around the world for the second time too boring. Believed to be the queen of mountain biking races, it’s a 4,339-kilometres-long slog down the Continental Divide from Canada to the Mexican border. The most recognised bike gravel route running along the divide is surrounded by total wilderness with a vast population of grizzly bears and mountain lions. While somewhere else cyclists rely on support from the outside, in this case, any help is banned and so participants have to carry all their equipment by their own effort and find shelter each night or bivouac trailside. Intervals between services are frequently more than 100 miles and so every cyclist must carefully calculate their food and water supplies. Despite the incredible total length, this year’s winner Brian Lucido made the whole trip in only 14 days, 22 hours and 45 minutes.